A fourth windfarm application for the Antrim hills has been referred to the Planning Appeals Commission with a decision pending on the third. Larne Borough Council’s Public Services Committee was due to consider two applications from developer ABO Wind NI Ltd for a ten-turbine windfarm in Carnalbanagh and an amended proposal for a six-turbine wind farm near the Feystown Road on December 8. The report questioned Planning service’s “overall strategic approach” in determining the number of windfarms in an area, and stated that should the Carnalbanagh application prove successful a “community benefit scheme” should be developed. The Carnalbanagh proposal attracted 14 objection letters and was recommended for refusal by the DOE due to its impact on the Antrim Coast and Glens Area of Outstanding Natural Beauty (AONB). Concerns included the impact on tourism in the AONB and Slemish mountain, potential noise, detrimental ecological impacts and adverse impact on visual amenity and landscape character. The planning application was removed from the Council agenda after developers appealed to the Planning Appeals Commission. 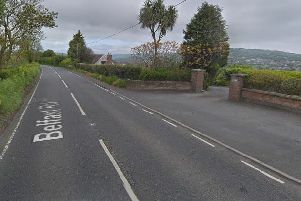 Developer ABO NI Ltd had also submitted a planning application for a nine turbine wind farm, subsequently reduced to six turbines, near Glenarm’s Feystown Road. This garnered 198 objection letters and six petitions. That application was recommended for refusal by the DOE due to concerns including the impact on landscape character, tourism assets, impact on natural and built heritage and potential detriment to the environmental quality of the AONB. The potential “unacceptable visual impact” on the AONB and tourism assets was highlighted. Concerns were raised over the impact on the listed St Patrick’s Church and the visual impact on public views from Knockdhu Area of Significant Archaeological Interest and two prehistoric monuments. The council committee agreed with the DOE’s recommendation to refuse planning permission. A DOE spokesperson said a decision notice will be issued in the coming days.